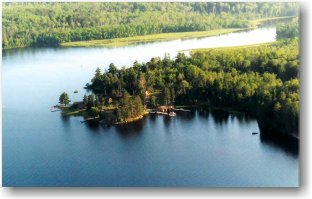 THANK YOU for your interest in Pine Point Lodge & Resort! 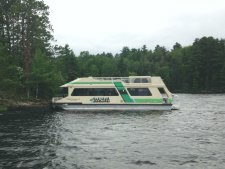 For a moment, close your eyes and imagine yourself on our pontoon “limo” on your way to our exclusive, remote, yet accessible resort, located on the shoreline of over ¼ million acres of waterway that includes Voyageur’s National Park, the Boundary Waters Canoe Area Wilderness, and Canadian waterways. This is one of two locations that we offer. At this location, you may choose from housekeeping cottages, rooms, or a houseboat to spend your much deserved vacation. Add one of our new pontoon or fishing boat rentals to your stay and find yourself catching fish, exploring the miles of lakes, rivers and secluded bays, relaxing at a secluded beach, hiking wilderness trails, and much more – it’s your vacation, you choose. Our second location, which you can drive to, is the Lakeview Motel, located at 7533 Gold Coast Road. This location provides free parking for those guests at our boat accessible location. 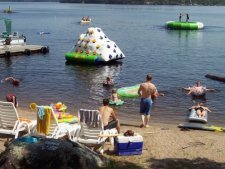 In addition, you may stay in one of the three comfortable, clean, ground level, lake front motel rooms or choose our two bedroom plus lake home to rent. Walk to and from restaurants, lounges, and gift stores. Most importantly, you would have free use of all the resort amenities at the boat accessible location along with choosing a rental boat of your choice. Location – remote yet accessible. No roads. Quiet, secluded, peaceful, relaxing. Each modern housekeeping cottage is located right on the water’s edge along our 1/2 mile of private shoreline. Pine Point cares about you. The owners, along with our friendly, responsible staff are committed to excellent service and hospitality. We are here for you every day of your vacation. Our rental equipment is brand new - hassle free, clean, easy to start. A beautiful, private, southern exposed beach complete with chaise lounges, water trampoline and a safe gradual decline into the water. Complimentary dock slip(s) with electricity. A complimentary pontoon “limo” shuttle to and from restaurants and lounges or back to your vehicle. Unique, carefree visitors – deer, otters, eagles, loons, mink, muskrats, hummingbirds, chipmunks, squirrels, wood chucks, bunnies, ducks, turtles, and a large variety of birds. Complimentary use of paddle boat and canoes. 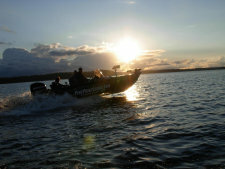 Fun weekly and seasonal fishing contest along with a weekly cookout from mid June – mid August.